When you want to copy files, photos, music out of your iOS devices (iPhone, iPad), you usually plug it into a computer and open iTunes application to transfer files to your computer, it’s a cumbersome way and it’s not an easy task for normal users. 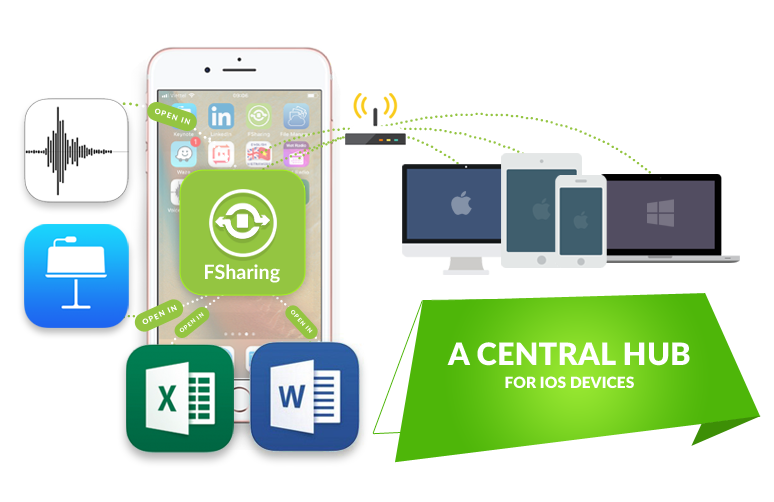 FSharing with its powerful sharing ability gives you an easy way to transfer files between your iOS devices and other devices such as PC, laptops and other iOS devices. It makes your iOS devices visible and accessible from other devices as long as they are in the same network (company network, Wi-Fi or Hotspot network). 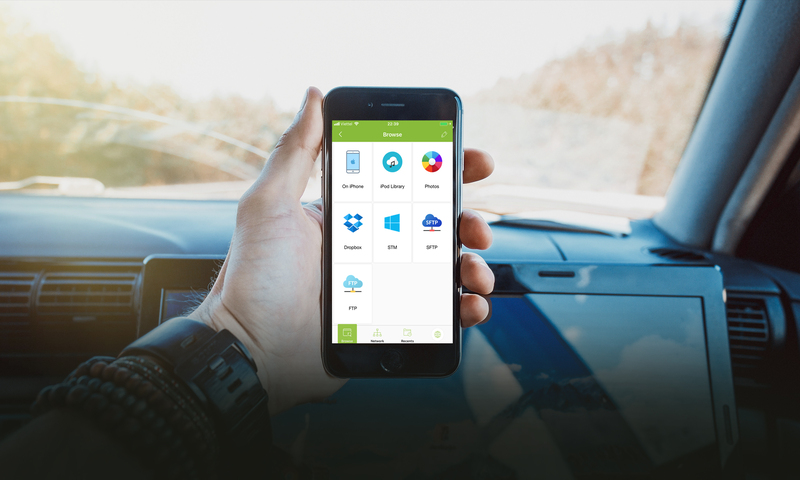 Besides the exclusive sharing feature, FSharing is a powerful file manager, it’s perfect for viewing Word or Excel documents, opening zip files, PDFs, images, download files from web, play mp3 music and watching movies on iPhone. A fast search help you find any documents you need. 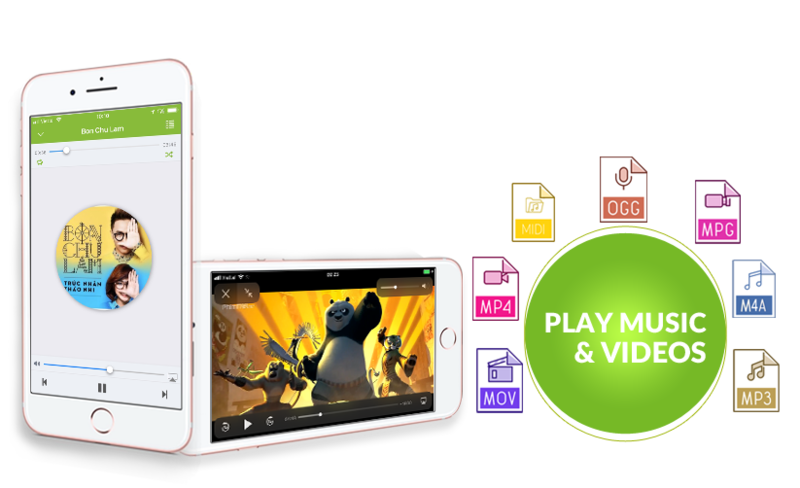 Share files with PCs, laptops and iPhones, iPads easily, it doesn’t require you to install any third party applications. I like this app. It’s easy to use. I actually searched for an app or program that can allow me transfer data from my from to another iOS. It took me so long. It’s amazing that they come up with this idea. It is totally useful and handy in many ways. Thanks guys! Share and transfer files still work even FSharing app is in background or your device screen is locked. 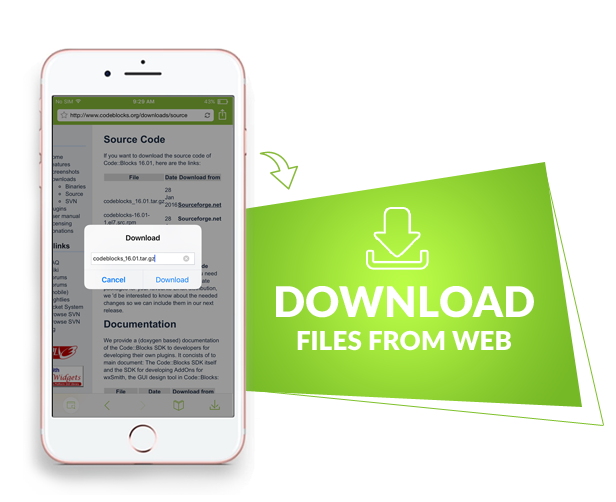 Thanks to the native feature “Open In” of iOS together with the powerful sharing ability of FSharing, it allows you to export files from any applications in your iOS devices to PC, laptops, and other iOS devices. It’s designed with friendly UI help you get used to it easily. This is definitely one of the best file sharing app available on app store. It is a user-friendly and very handy app. 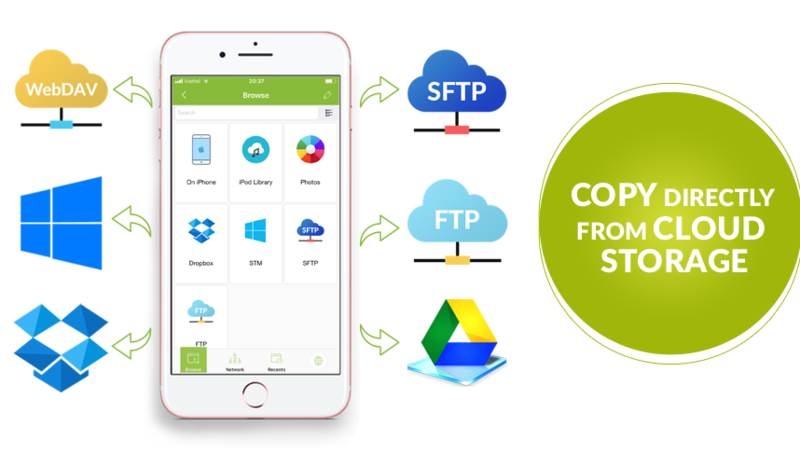 It’s proved that copy files or folders from a cloud storage to another directly is extremely fast compare to normal way (download files to local device then upload them to another cloud storage). Download mp3, books, videos and literally anything from the Web to your iPhones or iPads. Open music or video files right from the cloud without downloading them. 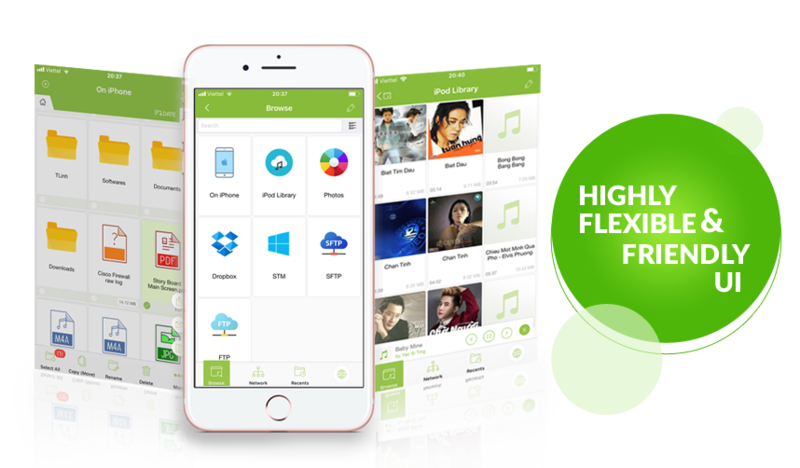 The smart and beautiful media player organizes them into playlists with the ability to shuffle and loop your favorite tracks. A user friendly image viewer supports a lot of image formats, you can view any images easily. Open and view any type of document, including iWork, MS Office, music and PDFs right on your iPhones and iPads. Add-ons are extra tools, they provide more advanced functionalities and they are deeply integrated with FSharing.